Well, it's time to start listing Hayley's concert appearances and other work for 2005. This message will be added to as information comes in. As it builds, new items will be added in red, whilst older ones will change to black. So, come back regularly and check out what Hayley is doing in 2005. The dates given below have now been updated and confirmed, thanks to Hayley's official site. Hayley will be taking a break from touring to carry out some work for UNICEF. She will actually be going to Ghana. Mum, Jill and sister, Sophie will also be going. Liberia and Nigeria were not considered safe at this time. All the following US and Canadian concerts are cancelled, with the exception of Detroit - the date of which may be moved. The concerts may well be staged in spring 2006 instead. "The Hayley Westenra concert is a members only benefit for WLVT-TV, PBS 39. You can get two tickets to see the concert for a donation of $140.00 to the station. If you would like make a donation, I (Kathleen Raisch)can be reached at 610-984-8133." However during non-working hours it might be easier to make a pledge on the WLVT website www.wlvt.org click on join/renew, then click on Hayley's pic and follow the instructions. *The Wilshire Theater was once a 70mm movie house which closed and, has now re-opened for live performances. Friday 3rd, Aichi Expo New Zealand Day, Aichi, Japan. Wednesday 5th,Hellenic Festival, Athens. With Mario Frangoulis. Thursday 6th,Hellenic Festival, Athens. With Mario Frangoulis. Hayley will perform at Mechanics Hall in Worcester MA on May 4th at 8PM. Please note that the King's Center is located in Melbourne FL. on the east coast a long ways from Clearwater on the west coastof FL. I will, of course, be at the Clearwater concert . Don't forget to keep checking the first message in this thread. It is being updated as information arrives. US correspondent who wants to hear Hayley duet with Josh Groban! Saturday 30th,Providence Performing Arts Center, Providence, RI. Sunday 1st, Palace Theater, Waterbury, CT. In the listing, above, the date for the Toronto performance was omitted. Did I not hear that it was scheduled to take place on Saturday, May 7th? Is that not still the case? Has it changed? You are right, Susan. The 3 Canadian dates are listed on this page: rapids.canoe.ca/clive/clvsearch?style=artist&tr_band_name=HAYLEY+WESTENRA&from_date=&to_date=, with May 7th as the Toronto date. I'm sure that this will soon be edited in the first message! Corrected. I did have the date when i first put that up, but for some reason did not include it. Silly me. The gap in February is interesting - and as far as I know, Hayley will be in London then, to record her new album. She looks like remaining in Europe until the beginning of April. That seems to make sense as it would be fairly easy for her to go back into the recording studio, if anything needs tidying up. I assume that Hayley's schedule for the second half of the year (not yet listed) will be built around her new album and the proposed release dates in different countries. I'm already starting to get quite excited about it! There have been some major changes to Hayley's schedule for 2005. See the first message in this thread. I've got a rough idea of what the "classicalive" event in March, but do any of you have any more detailed info on Hayley's appearances in June at Hampton Court and in July at Kenwood House here in Britain?? All I can tell you at the moment is that Hayley will be appearing with Jose Carreras at Hampton Court. Full information on these is not yet in. Will you be at the Classicalive event on the Sunday? If so, please take the trouble to look for us. 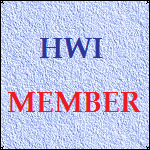 Just look out for the HWI sweatshirts, come over and introduce yourself. We should really get together when we get the chance. it would be good to see you. Well i'm certainly hoping to be there on the Sunday, i haven't bought any tickets as yet although i hope to do that soon. I've just gotta check that the day doesn't clash with anything i'm not currently aware of first. On the Hampton Court and Kenwood House thing, i understand that info is sketchy right now but i've had a quick search online for some tickets and have come up emty handed. So if you do come across anything when it comes to tickets i look forward to reading it, although if i myself find it before you i will post it on here[That is a bit unlikely with all your connections and contacts mind you i21.photobucket.com/albums/b294/hdjoespics/EEjdKsU.gif]. The Hampton Court event is of particular interest to me as i saw Hayley sing with Jose at the Royal Albert Hall in Decembet 2003, it will be nice indeed to see and hear both her and them in action once again. I'll try to be at all of her appearances currently on the schedule but i'll just have to wait and see. Mind you the UNICEF concert at Canada House late last year, could well prove to be worth as much as all the performances i saw prior to that and these three combined on a personal level, but you never know i guess. So sooner or later i'm sure we'll meet. Workshop on how Hayley and her team adapt a song from an album for performance on stage working with different size ensembles, followed by a Recital including Pokarekare Ana, Amazing Grace,Ave Maria and Wiegenlied. Ian Tilley – Piano. Fiona Pears – Violin." Full programme details are here. Just to confirm that I will be at Classicalive at Olympia on Sunday 20th March, and I'm looking forward to meeting you all there. I'm also looking forward to seeing Fiona Pears, because she wasn't at the show in Southend last November.